BIRDS-3 Satellite project, which involves first satellites for Sri Lanka and Nepal [HERE], will undergo its final and perhaps the most important design review, the Critical Design Review (CDR), on 1st September 2018. If the team is to defend its design, the project will move into Flight Model (FM) stage. 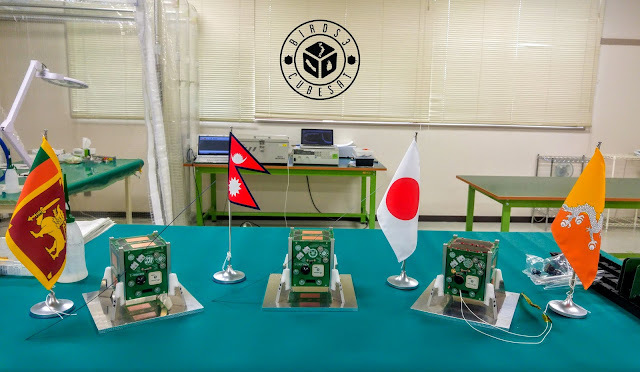 The FM of NepaliSat-1 along with Raavana-1 and Uguisu will be then handed over to Japanese Aerospace Exploration Agency (JAXA) next year. JAXA is the launch partner for BIRDS project. Nepal Academy of Science and Technology (NAST) is the stakeholder for the Nepalese satellite. NAST will be conducting its own independent program to commemorate the milestone.